We turn ours over to ADT tomorrow in fact. Had to come back and tell you that our new ADT equipment is now in and operational but our keypad doesn't look anything like that one. Saw your post (and comments) and thought I'd conduct a little market research. I own a company which offers home security technology. 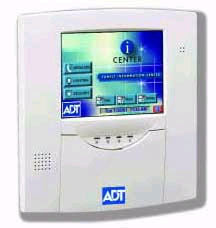 Our system uses the same equipment as ADT but provides the ability to control your system remotely. It is completely wireless and operates on a cellular network (no wires for the bad guys to cut). But the best part is you can set the system to alert you of events via email or text message. This seems to be of particular interest to business owners if they wish to know if someone has entered a secure area while the system is disarmed. Monitor the private office and such. All of these capabilities are included in the price which most companies charge for just monitoring services. So, my question is, does the remote control and monitoring features appeal to a business owner?